Union City is inviting community members to participate in the General Plan Update process through community workshops, community events, and study sessions with the General Plan Advisory Committee (GPAC), Planning Commission, and City Council. Input from residents will be used by City staff and decision-makers to refine Union City’s vision and update the goals, policies, and implementation programs in the General Plan. Your input is needed to make sure the General Plan reflects residents’ expectations for Union City’s future! Please check back later for upcoming meetings. On February 26, 2019 City staff presented the Preliminary Draft Health and Quality of Life Element to the City Council. On February 7, 2019 City staff presented the Preliminary Draft Health and Quality of Life Element to the Planning Commission. On February 6, 2019 City staff presented the Preliminary Draft Health and Quality of Life Element to the General Plan Advisory Committee. On January 23, 2019 City staff presented the Preliminary Draft Health and Quality of Life Element to the Human Relations Commission. On November 8, 2018, City staff held a public scoping meeting to solicit input on content to be included in the Draft EIR. On October 2, 2018, City staff held a Parks and Recreation Workshop. The purpose was to gather information on the community’s vision for Union City’s parks and recreation facilities, prioritize needs, and discuss park funding options. Click here for the full workshop flyer. On August 14, 2018, City staff presented the Preliminary Draft Mobility Element to the City Council. On July 19, 2018, City staff presented the Preliminary Draft Mobility Element to the Planning Commission. On July 18, 2018, City staff presented the Preliminary Draft Mobility Element to the General Plan Advisory Committee. On May 17, 2018, City staff presented the Preliminary Draft Safety and Resource Conservation Elements to the Planning Commission. On May 16, 2018, City staff presented the Preliminary Draft Safety and Resource Conservation Elements to the General Plan Advisory Committee. On May 8, 2018, City staff presented the Preliminary Draft Public Facilities and Services Element to the City Council. On April 19, 2018, City staff presented the Preliminary Draft Public Facilities and Services Element to the Planning Commission. On April 18, 2018, City staff presented the Preliminary Draft Public Facilities and Services Element to the General Plan Advisory Committee. On March 13, 2018, City staff and the General Plan Update Consultants presented the Preliminary Draft Special Areas and Community Design Elements to the City Council. On March 1, 2018, City staff and the General Plan Update Consultants presented the Preliminary Draft Special Areas and Community Design Elements to the Planning Commission. On February 7, 2018, City staff and the General Plan Update Consultants presented the Preliminary Draft Special Areas and Community Design Elements. On December 12, 2017, the City staff and Consultants presented the draft General Plan Land Use Element to City Council. To view a copy of the draft Element please visit the General Plan Update documents page. On November 2, 2017, the Planning Commission discussed the draft General Plan Land Use Element. To view a copy of the draft Element please visit the General Plan Update documents page. On November 1, 2017, the General Plan Advisory Committee (GPAC) discussed the draft General Plan Land Use Element. To view a copy of the draft Element please visit the General Plan Update documents page. On August 8, 2017, the City Council discussed the draft General Plan Economic Development Element. This version of the element was updated with feedback received since the last meeting on June 15, 2017. To view a copy of the draft Element please visit the General Plan Update documents page. On June 15, 2017, the Consultant Team presented the Preliminary Public Review Draft of the Economic Development Element of the Draft General Plan to the Planning Commission. On June 14, 2017, the Consultant Team presented the Preliminary Public Review Draft of the Economic Development Element of the Draft General Plan to the General Plan Advisory Committee. On June 14, 2017, the Consultant Team presented the Preliminary Public Review Draft of the Economic Development Element of the Draft General Plan to the Economic Development Advisory Team. On October 11, 2016, City Council discussed the Focus Area Alternatives. Final Direction will be given at the next meeting. On September 15, 2016, the Planning Commission made a recommendation on the Focus Area Alternatives. On September 7, 2016, City staff and the General Plan Update Consultants presented comparative evaluation analyses of the different alternatives for the Greater Station District Focus Area. On July 7, 2016, City staff presented the comparative evaluation analyses of the different alternatives for the Greater Station District Focus Area. On July 6, 2016, the General Plan Advisory Committee made a recommendation on the focus area alternatives. On July 6, 2016, the Economic Development Advisory Team made a recommendation on the focus area alternatives. On June 16, 2016, City staff presented the comparative evaluation analyses of the different alternatives for the Union City Boulevard and Horner-Veasy Focus Areas. On June 14, 2016, City staff and the General Plan Update Consultants will present comparative evaluation analyses of the different alternatives for the Union City Boulevard and Horner-Veasy Focus Areas. On May 24, 2016 City staff and the General Plan Update Consultants presented the economic and fiscal analysis to City Council. On May 11, 2016 City staff and the General Plan Update Consultants presented the land use alternatives to the Economic Development Advisory Committee for input and review. On May 4, 2016 City staff presented the land use alternatives to the General Plan Advisory Committee for input and review. On April 28, 2016 City staff held an open house for the Union City Boulevard Corridor and Horner-Veasy Area stakeholders to review and gather input on the land use alternatives. On April 27, 2016 City staff and the General Plan Update Consultants held an open house for Greater Station District stakeholders to review and gather input on the land use alternatives. On April 26, 2016 City staff and the General Plan Update Consultants held a focused transportation review and discussion with City Council. On April 12, 2016 City staff and the General Plan Update Consultants presented an overview of the alternatives analysis. On March 19, 31, and April 19, 2016, City staff and the General Plan Update Consultants held community workshops to present the different land use alternatives the City is considering for three focus areas: the Greater Station District, Union City Boulevard Corridor, and the Horner-Veasy Area. 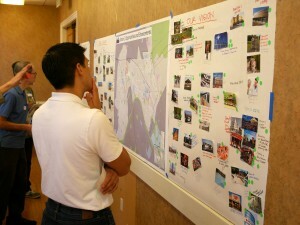 The workshops were designed to collect opinions on which mix of land uses best fit Union City’s long-term needs. Couldn’t make it to the workshops? Visit the General Plan Update online townhall forum to contribute your input. On Tuesday, March 8, 2016, as part of a regularly scheduled City Council meeting, City staff and the General Plan Update Consultants provided a brief summary on preliminary findings from the land use alternatives evaluation. The meeting was informational and no action was taken by the Council. On Tuesday, July 28, 2015, as part of a regularly scheduled City Council meeting, the Council continued its discussion on the alternative concepts and evaluation criteria from the July 21st study session. At the meeting, the Council provided direction on its preferences for a range of land use alternatives and the criteria that will be used as the basis for evaluating options for future growth and development. On Tuesday, July 21, 2015, the City Council held a study session to review the draft land use alternative concepts for future growth and development and the proposed evaluation criteria. At the meeting, the Council also reviewed comments from the EDAT, the GPAC, and the Planning Commission, and then discussed the concepts and criteria. On Thursday, July 16, 2015, as part of a regularly scheduled Planning Commission meeting, the City presented land use alternative concepts for future development of the city and the evaluation criteria the City will use to evaluate future growth and change. At the meeting, the City and its General Plan Update consultants reviewed comments from the EDAT and GPAC on the land use alternative concepts, and facilitated a discussion with the Commission. On Wednesday, July 15, 2015, at 6:30pm, the City held a GPAC meeting to present preliminary land use alternative concepts for future development of the city and the evaluation criteria the City will use to evaluate future growth and change. 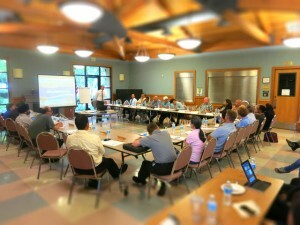 At the meeting, the City and its General Plan consultants facilitated a discussion and took input from GPAC. On Wednesday, July 15, 2015, at 12:00pm, the City held a EDAT meeting to present preliminary land use alternative concepts for future development of the city and the evaluation criteria the City will use to evaluate future growth and change. 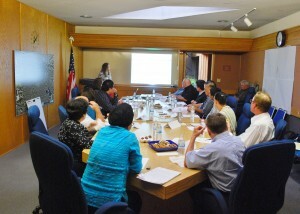 At the meeting, the City and its General Plan consultants facilitated a discussion and took input from the EDAT. On May 21, 2015, June 4, 2015, and June 18, 2015, the City presented the draft Background Report to the Planning Commission. The Background Report is a comprehensive and detailed report on existing conditions in the city. Due to the size of the Report, the Planning Commission reviewed it in parts. The first meeting covered Chapter 2, Demographic Trends and Chapter 3, Fiscal and Economic Conditions. At the meeting the City facilitated a discussion with the Planning Commission on the topics covered in each of the draft Background Report chapters. On Tuesday, May 26, 2015, as part of a regularly scheduled City Council meeting, the City presented key findings from the Background Report and the Assets, Issues, and Opportunities Summary Report. At the meeting, the City facilitated a discussion with the City Council on any additional priority topics that should be highlighted for the remainder of the General Plan Update. On Wednesday, May 13, 2015, as part of a regularly scheduled EDAT meeting, the City presented the draft Background Report and the Assets, Issues, and Opportunities Summary Report. At the meeting, the City and its General Plan consultant facilitated a discussion with the EDAT on any additional priority topics that should be highlighted in the remainder of the General Plan Update. On Wednesday, May 6, 2015, the City held a GPAC meeting to present the draft Background Report and the Assets, Issues, and Opportunities Summary Report, as well as feedback from the April 1, 2015, EDAT meeting. At the meeting, the City and its General Plan consultant facilitated a discussion with the GPAC on any additional priority topics that should be highlighted in the remainder of the General Plan Update. On Thursday, May 7, 2015, as part of a regularly scheduled Planning Commission meeting, the City presented the draft Background Report and the Assets, Issues, and Opportunities Summary Report. At the meeting, the City and its General Plan consultant facilitated a discussion with the Planning Commission on any additional priority topics that should be highlighted in the remainder of the General Plan Update. On Wednesday, March 4, 2015, as part of a regularly scheduled EDAT meeting, the City presented the draft Vision and Guiding Principles. At the meeting the City and its General Plan Update consultant facilitated a discussion with the EDAT to gather input on what makes Union City unique and how the General Plan can identify priorities for achieving the Vision. On Wednesday, March 4, 2015, the City held a GPAC meeting to present the draft Vision and Guiding Principles, as well as feedback from the EDAT meeting held earlier that day. At the meeting the City and its General Plan Update consultant facilitated a discussion with the GPAC to gather input on what makes Union City unique and how the General Plan can identify priorities for achieving the Vision. On Tuesday, February 3, 2015, the City Council continued a study session from November 25, 2014 to discuss and refine the draft Vision and Guiding Principles. The draft Vision, which is based on public input received to date, paints a picture of what Union City could be 25 years from now. The draft Guiding Principles establish broad benchmarks for the rest of the General Plan Update process and the General Plan itself. Both the Vision and Guiding Principles will be used by the city to help define how growth will occur. At the study session, the Consultants presented the draft and facilitated a discussion with the City Council to confirm and refine the Vision and Guiding Principles for the remainder of the General Plan Update process. On Tuesday, November 25, 2014, the City and its General Plan Update consultant facilitated a study session with the City Council to review the results of the first Community Workshop, GPAC meeting, and previous Planning Commission study session. At the meeting, the City Council confirmed the recommendations from the GPAC and Planning Commission and provided additional input on issues, opportunities, and assets that should be considered in the General Plan Update. On Thursday, November 6, 2014, the City and its General Plan Update consultant facilitated a study session with the Planning Commission to review the results of the first Community Workshop and input from the GPAC. At the meeting, the Planning Commission provided input on additional issues opportunities, and assets and make recommendations to the City Council on revisions to the General Plan Vision. On Wednesday, October 15, 2014, the City held the GPAC meeting “Assets, Issues, Opportunities, and Vision” for the General Plan Update. At this meeting, the General Plan Update consultants and City Staff presented the findings from the community workshop #1 and facilitated a discussion with the GPAC to prioritize citywide assets, issues and opportunities and refine the draft Union City Vision. From September 29, 2014 to October 31, 2014, the City gathered the first round of input using the General Plan Update online Townhall Forum (Forum webpage here). The first round of input gathered residents input about the assets, issues, opportunities, and their vision for Union City. A total of 92 individuals participated in the Forum discussions, generating over 50 discussion ideas. 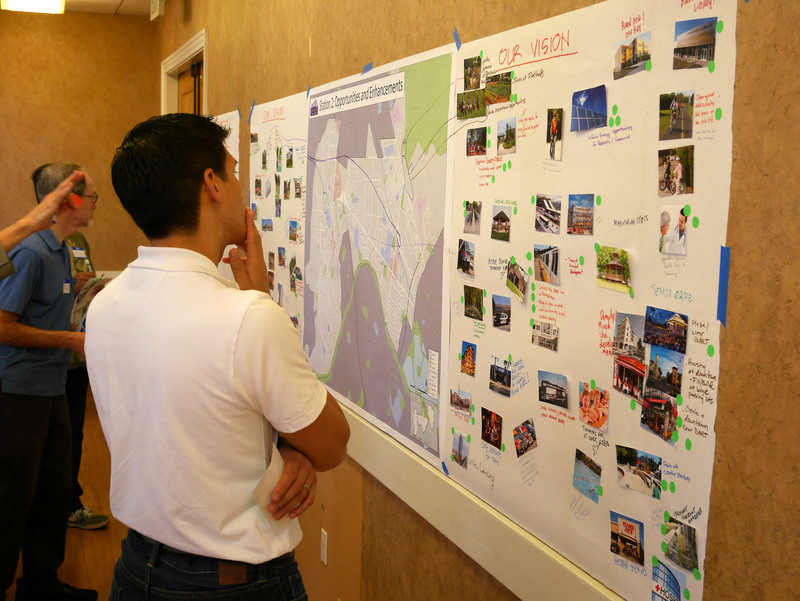 On Saturday, September 20, 2014, the City held a community workshop to present the General Plan Update program to residents and stakeholders and gather input from participants on what they believe are Union City’s assets, issues, opportunities and develop a 25-year vision for Union City. At the Workshop, the City and its General Plan Update consultant presenting an overview of the General Plan Update program, followed by four interactive exercises. On Wednesday, September 3, 2014, the City conducted the first GPAC meeting for the General Plan Update. At the meeting, the City and its General Plan Update consultants reviewed the purpose, responsibilities, and expectations for GPAC members and provided an overview of the existing 2002 General Plan. On July 7, 2014, the City held a workshop with with the City Council, Planning Commission, and General Plan Advisory Committee to have a detailed discussion of the General Plan Update. Given the importance of the General Plan Update, this workshop provided a common understanding of the need for and purpose of the General Plan, the key steps in the preparation process, the outreach program, legislative mandates, and other important issues affecting the General Plan preparation process.